YOUNGSTOWN, Ohio – Standing atop the hill overlooking the final hole at Avalon Lakes Golf & Country Club, superintendent Josh Goodhart takes a look around and makes a quick observation. “There are more dandelions than I’d like,” he says. From where he stands, two dandelions are within sight. Around the course, a few clumps are around the edges of bunkers. Not many, all in all, but still too many. These are the things that golf-course superintendents have to notice. The greens at Avalon are less than an eighth of an inch tall. The rough is two inches, half the height of home lawns, he notes. And golfers, especially avid ones, expect perfection. That means everything is mowed and preened several times a week. The schedules vary course to course. 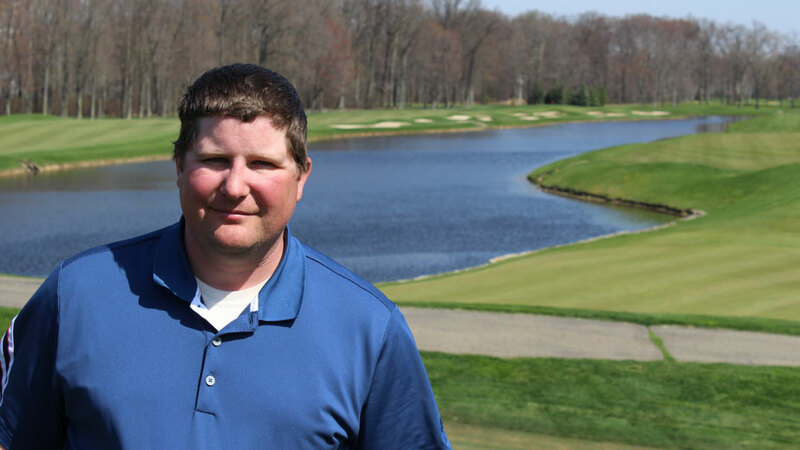 At Kennsington Golf Club, Canfield, superintendent Sean Novotny aims to have the greens and fairways mowed on Monday, Wednesday and Friday and the greens rolled on off days. Approaches, meanwhile, are slated for Tuesday, Thursday and Saturday. All of this, of course, is at the mercy of Mother Nature. The first job of spring when the grounds crew returns is cleaning up debris on the course. Then, throughout the season, mowers have to wait for the ground to be dry enough after a rain before they can mow again. There are also the fertilizers and pesticides that have to be put down, divots replaced and everyday wear and tear dealt with. All three golf course superintendents interviewed for this story attended the Agricultural Technical Institute of Ohio State University at its Wooster campus. The turfgrass management program there offers an associate degree. The coursework is largely hands-on and covers topics that include botany, equipment operations, plant diseases, budgeting, small-engine mechanics and irrigation. At Kennsington, where he’s been superintendent since the course opened, Novotny has employed alternative maintenance methods as well. When there are algae blooms in the water features, he’ll use fish – usually tilapia or Japanese amur catfish – that eat algae. Early on, before housing developments went up around the course, he used a herd of goats to keep in check the grass on hills where mowers couldn’t reach. For the daily wear on a course, Goodhart says that most golfers land their tee shots in the same general area, easing the amount of day-to-day maintenance the grounds crew has to do on each hole. Avalon Golf & Country Club superintendent Josh Goodhart. “There’s a 40-yard chunk of fairway where 75% of golfers land. So we’ll go out and fill divots in that chunk. And when you have time to deal with the rest of it, you do,” he says. On the tee boxes, the markers are moved daily to spread out the wear, as are the cups at the opposite end of the hole. At Avalon, Goodhart says, only a few workers move the holes around the green. The course used to have a GPS system installed on its golf carts that would provide players with the exact location of the hole, meaning that there were only a few spots groundskeepers could put it. That system is no longer used, meaning cutters have to use their own judgment. All of the work – all three superintendents say there’s no “typical day” or standardized work schedule – is done to keep golfers satisfied, which in turn bolsters the bottom line. Novotny calls the meticulous grooming of golf courses “the Augusta syndrome,” referring to the course that each year hosts The Masters Tournament. Pictured: Fallen trees are just one of the unexpected tasks of the job, says Kennsington Golf Club superintendent Sean Novotny.